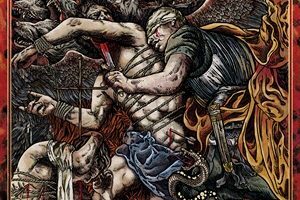 Having leant his voice to a handful of utterly influential, genre-defining melodic death metal (and d-beat) albums, Tomas Lindberg has his pick of the litter for projects. At the Gates is back in action, but not quite at Carcass-level of visibility; Disfear and the sorely-underrated The Great Deceiver are determined to be inactive for the time being, while stints in The Crown and Nightrage proved to be more than just resume-padders. 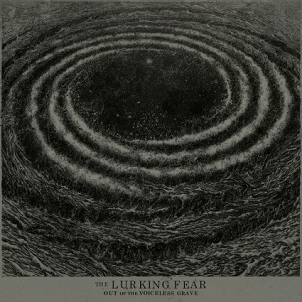 Therefore, the creation of The Lurking Fear and its subsequent Out of the Voiceless Grave debut begs the question: Do we need another album like this from these people? Branded as a veritable “supergroup” featuring members of past and present members of The Crown, Disfear, Edge of Sanity, The Haunted (ultra-ubiquitous drummer Adrian Erlandsson is pounding the skins here) and Skitsystem, The Lurking Fear goes the classic, dingy death metal route. Now, it would have been even more predictable for Lindberg to spin another melodic death metal project, so consider it a wash there, but Out of the Voiceless Grave really just peels by, recycling, regurgitating those slopped-around, bulldozing riffs while Mr. Acid Voice himself (that would be Lindberg) is hounding and haranguing. The searing modes of “Vortex Spawn,” “The Infernal Dread” and “Winged Death” are certainly expedient, thorough numbers. What the songs lack in finesse, they make up for in sheer brutality and brevity. However, pardon us for the lack of excitement and fawn. The Lurking Fear and Out of the Voiceless Grave could have done so much more. Rather, they opt to produce much less.